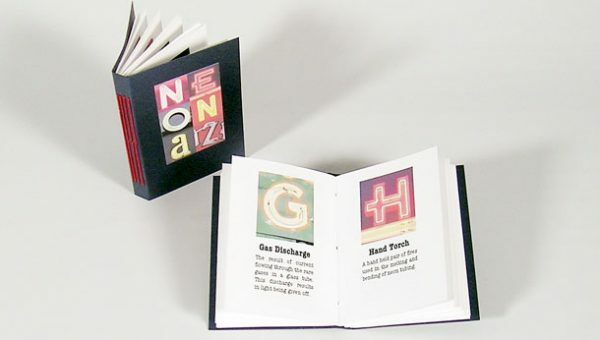 This miniature ABC book contains photographs of letters found on vintage neon signs. The alphabet letters are paired with terminology and fun facts from the fascinating world of neon artistry—a world that has changed little since the invention of the neon sign in 1910. Long stitch binding into paper cover. Archival digital printing on Superfine paper. 2 1/8” x 3”, 32 pages, 26 original photographs. Signed and numbered edition of 100. 2004.